I love the case. However. When removing the front panel, make sure that the door on the front is still taped down. When I removed mine, the latch that holds it closed broke as a result go the force required to remove the panel. I don't care too much, because the door will sit closed. It just wont latch. Just a heads up. Awesome case on a budget. I picked mine up for $65. What a steal! 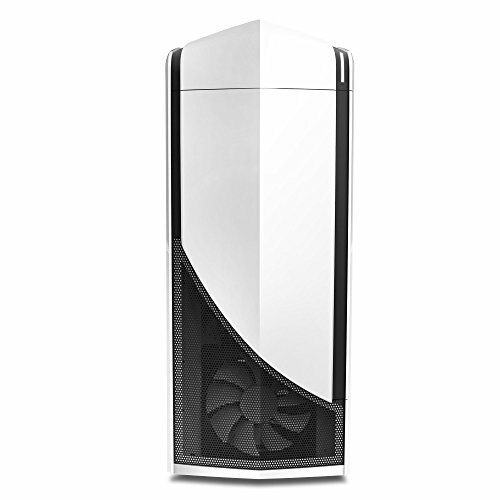 Amazing build quality, sweet unique design, and tons of cooling options for the price. 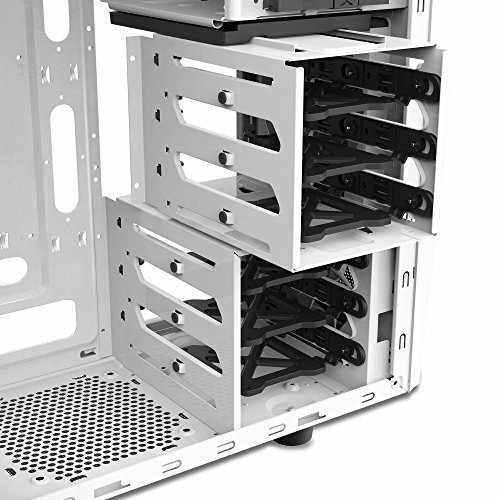 Tons of length for a GPU with the removable drive bay. I've seen loads of complaints about the drive sleds, but I have no complaints. A whole lot better than no drive sleds. I've also seen a lot of stuff about the flimsy latch on the front door. I have also found no complaints with it. I have opened and closed it A LOT in the past two months and it still works fine. It requires a bit of force, but it is still intact. 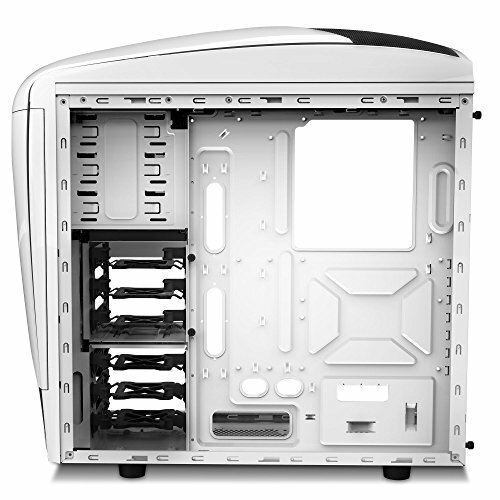 I wish I could give this a "10/5" since it was a pretty cool looking chassis or case depending how you would say it.. But it had sorta good cable management.. 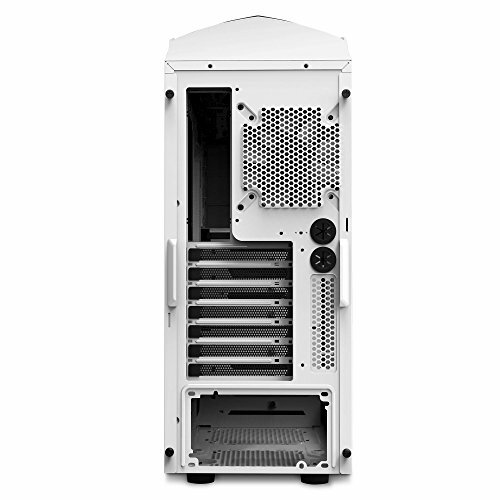 The case is roomy, easy to work with, and aesthetically pleasing. A wanted something with a side window also. All around good case with nice cable management. Removing the top and front panels is a bit of a pain though, they use push pins. Otherwise a great looking case with ample space. I don't know how to start... This case is just amazing. 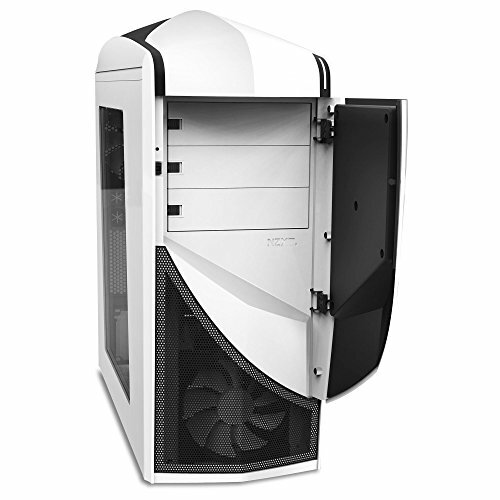 I don't know what i'd do if NZXT didn't exist (well i'd probably get a cheap Corsair case). OK so for this price, I feel like I have a lot more than what I asked for. This being my first build and all, I still don't really know what I'm doing, but putting everything in the case was super easy. I had no problems with anything. The case itself has an amazing solid metal feel to it (probably because it's made of solid metal), and there is nothing flimsy about it. The paint finish is super nice and shiny, and quite hard to scratch under normal use. The window is made of nice whatever they used, and it's cool to be able to look inside easily. Although the window does get scratched a bit easily, the scratches don't ruin anything for now, as they're quite small and unnoticeable. For me, cable management was super easy, and all the wires and cables fit in perfectly. I would have bought some rubber grommets for the cable openings, but the cables look quite clean as they are, and so I wasn't disappointed. 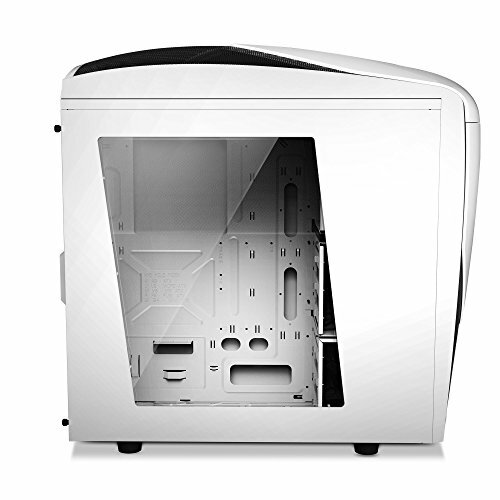 Probably the best case at its price range! 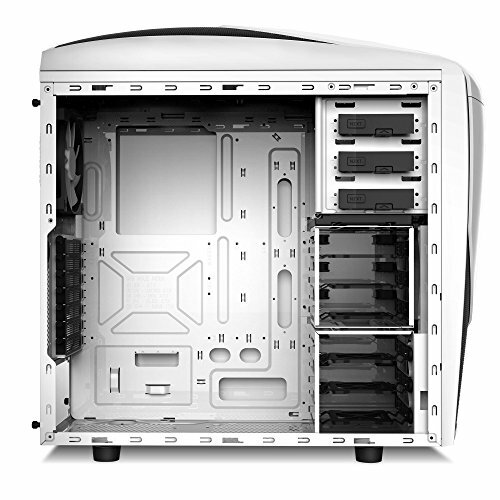 Material doesn't feel flimsy at all (as long as you're careful when you pop open the front & top part), nice smooth, glossy finish, plenty of space to mess around with, great air flow and most importantly it turns anybody into a cable management pro. Would highly recommend, especially to first time builders. I like the case. It looks nice. I wish it was easier to get a black Phantom 240, would've much rather had a black one. Overall a nice case. Cable management was easy in this case.